“Well, Greetings, Beloved Family! We are so overjoyed to be here with you once more. These Gatherings are getting more and more High. Of course, I’m talking about the energies that you bring – the vibrations, your consciousness, your Hearts and all of you! Of course, you are a lot more than what you see when you look into a mirror. You know that. You exist on many levels and you have many, yes, parts, particles, and so on and so on. “But what is happening is the great coming together and that is taking precedence over any kinds of individual self-realization in the sense that what is happening when you do your self-realizations is that you understand the importance of joining in Oneness. Now, we’re not talking about just joining in any club or group or anything like that. We’re talking about High Vibe, High Dimensional joining with all of the LoveLight workers Worldwide and beyond! “You heard about the ships. * They’re pretty big. They have to be to hold everybody that they’re going to be holding!. Now, we know that there are some disbelievers among those who are scheduled to be taken aboard these ships, after they are – let’s just say ‘processed’ on Planet Earth. Nevertheless, it’s getting more and more real to them. They’re finding out more and more that they really don’t have any place that they can run to. We’ve locked down the Planet, you know. They can’t escape. They can’t get off Planet Earth. We’ve cleaned out their underground spaces and places, and so what is left for these original archons, if you will, is simply to stand in the Light. “Now, most of them aren’t going to do that willingly – but more and more are! And there’s always that Light at the end of the tunnel. It’s there for all of them, as it is for all of you. This is the time during which all of Planet Earth is in its final moments of cleansings, clearings, and so on and so on. And, yes, the dark hats have added to the severity of it, but it’s a way of getting it done quickly. “Now, you know I don’t give dates. It’s been a long time since I gave dates. Back in the days when I first started speaking through this Voice, I had a lot of things that I was here to talk about. But my primary message has always been Love, Compassion, Forgiveness and Gratitude in any, any possible way that I could get it out there!!! “And we’ve had some serious moments and we’ve had some fun moments along the way. I was reminded the other day about the leaky boats. You see, the dark hats have been in leaky boats ever since, well, ever since they got here, really. They just didn’t know it because they thought they were in the big ocean liners beside the leaky boats. But the Truth of it is, you’ve been the ones who’ve been there! I told about that the very first time I appeared in public. The Lightworkers have been asked, as I did then, to throw life preservers – you know, those white donut things on ropes – to everybody in those leaky boats. And there has been some acceptance! Those who have accepted – that’s a rather simple picture, but you get what I mean, have accepted the offers. More and more are! “Our goal, of course, is to bring everyone into the Light. That’s not going to happen. But as soon as someone accepts a life preserver, we read their fields. 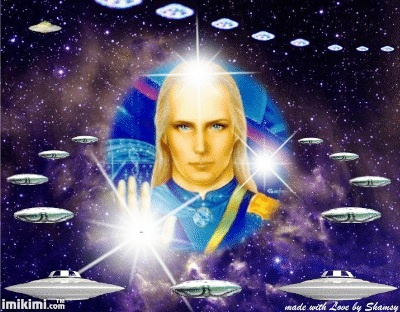 We work with them to bring them to the Light and, yes, we can give them a place on our big, shiny ships, beautiful white ships glowing with energy of Love but, of course, they have to be in a place where they will not be in any way able to be a threat to anyone else on the ships, because these are the Lightworker ships. “Now, that was simply a picture that I painted when I first appeared, but it’s a good one. It’s a valid one. 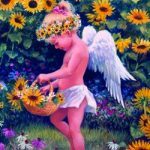 It’s held up – and so it is very important for you to paint your own pictures! Do your own creating, but in some manner or other, open your Hearts even wider to welcome these ones, so at least to bring them the comfort of the Love that We All Are, because in this way they can see that they do have an alternative path. And, of course, the more who come to the Light, the more High energy that creates, and the faster the Planet moves up!!! “So if you needed a reason to join in Love, Compassion, Forgiveness and Gratitude for these ones, there you have it, because we’re all here to participate in the moving up of Planet Earth. That’s why you’re here! That’s why I, and our trillions of ships are here. So let’s just get right on with it, shall we? “And, oh my goodness, have we got some wonderful, wonderful adventures in store – experiences, adventures, whatever! A lot of you have memories. They may be buried in your subconscious, but a lot of you have memories of being Ashtar commanders. And why not, because you are! “And where do you think you spend your sleep times, anyway? Do you ever wake up a little tired in the morning, or your brain feels like it’s been stretched a bit, because you’ve been doing some kind of calculations or piloting, or whatever? Well? Check into it if you wish. We’ll validate it for you. You’ve all got boarding passes anyway. It doesn’t really matter whether you have a title or not, just come on up! “Now, we are moving up into a Higher level of living lifestyles. We’re calling it the Golden Age, because that’s a good way to describe it. And there is so much in store, but I do want to take this opportunity to remind you all that we’re not there yet. Well, you probably know that! That’s no mystery! We’re close, but most of you, I will say, in this wondrous Gathering, have a little bit farther to go in the crocodile tank. Maybe go down a little bit deeper into the darkness, and then come on up into the Light that shines for everyone, for all time, in the Golden Age! “Now, some of you may be feeling a bit in despair. Don’t! Some of you may be feeling a lot alone because we understand that your families may or may not be supportive. Well? Just reach out to each other! You don’t have to know each other on the third dimensional level. Just reach out! 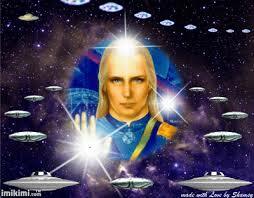 Call in your Ashtar On The Road Family. It’s a pretty big group. Call in Ashtar. 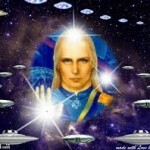 I, Ashtar, and the Mentors are here for you! Call in your guides, angels, anybody that you want to, and surround yourselves and lift yourselves up in the energy of Who You Really Are, assisted by the energies of all those you bring in. “That’s a really good way to get yourselves lifted up, because the more that you do that, the more you will bring about permanent residence in the Higher Dimensions where you are completely up, up and away from third dimensional Planet Earth -because, you know, it’s not going to all disappear. There is an alternate location where it will continue on for those people who simply aren’t ready. And that’s no judgment, that’s just the way it is! “You, Beloved Ones, came to move up, to move on. If you have a dear friend, a neighbor or a family member or somebody that you’re concerned about, don’t be! They’ll get there in their own time, at their own pace. You know, there are some people who just haven’t really lived the full 3D, Planet Earth experience, and they have more to do. Love them and let them go! That’s the best and the most freeing advice that I can possibly give to you. And above all else, we treasure Freedom! “Alright! Well, we have quite an interesting message coming from St Germain,** moving us further into the Higher Dimensional atmosphere. So let us continue on and bring in St Germain so that we can all enjoy, and I do mean ENJOY! And do not be put off and dismayed – this is not what this is about. It is not his intention to do that. Some of you may be shocked. That’s all right! Just let it settle in and you’ll feel the wisdom and the ultimate Peace and Freedom of what he brings.